​Is it time to change your sales compensation plan? Chances are that you are reading this column because you were attracted by the title. Yet, it is the question that the title poses that causes sales issues. 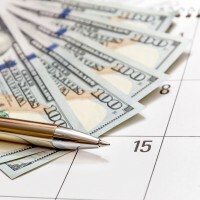 Many executives and business owners look at the calendar as the trigger to change sales compensation, but that’s a poor reason to monkey with a salesperson’s earnings. Some executives feel sales compensation needs to change annually, but why? Why would you want to disrupt a sales force merely because 12 months have elapsed? One core trait of salespeople is that they do not like change. They hate it! Tell a salesperson that you are changing the compensation plan to triple his income and he looks at you with a jaded eye. Are you trying to increase sales turnover? Changing a sales compensation plan is a great way to send salespeople running out the door. Recruiters love hearing about companies changing compensation because it’s a trigger event that makes salespeople receptive to a job change. If you are going to change the plan, there better be a darn good reason to do so. Here are eight indicators that tell you a sales compensation plan change is needed.